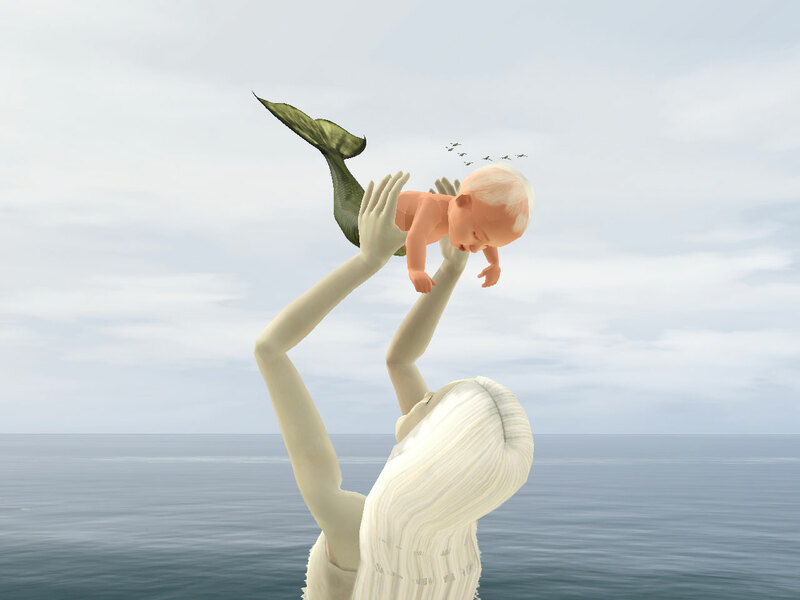 This is the female mermaid fin from Island Paradise converted to baby outfit. For the male version go here. This custom outfit is enabled for both genders and disabled for random. This means you have to use Nraas Master Controller to change your babies into the new outfit. Do not try to use any outfit category other than "Everyday" on babies. It's not working and can mess up your game. Like all custom baby clothing, this has some seams and gaps between the actual baby and the clothing. I did my best to cover these up, but in extreme positions and angels they are visible. 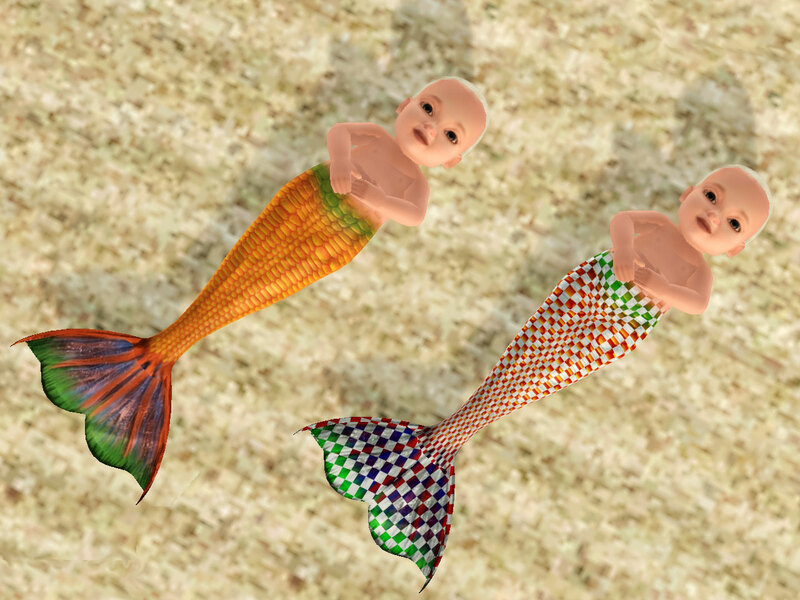 The skin of the back and lower belly has no detail shading, and unfortunately this will not even change with Aikea-Guinea's Baby Body Skin. The fin's textures took up the space where the body textures would have been. The fin itself, like the adult version has four cast-able channels. Bone assignment works fine. Obviously it will clip with any one-tile-cribs. Basegame compatible - Island Paradise is not needed. Thanks to the authors of TSR Workshop, S3pe, Gimp and Milkshape. You really made this possible! Special greetings to Abby-Cathryn Thanks for the idea! And thank you, EA! 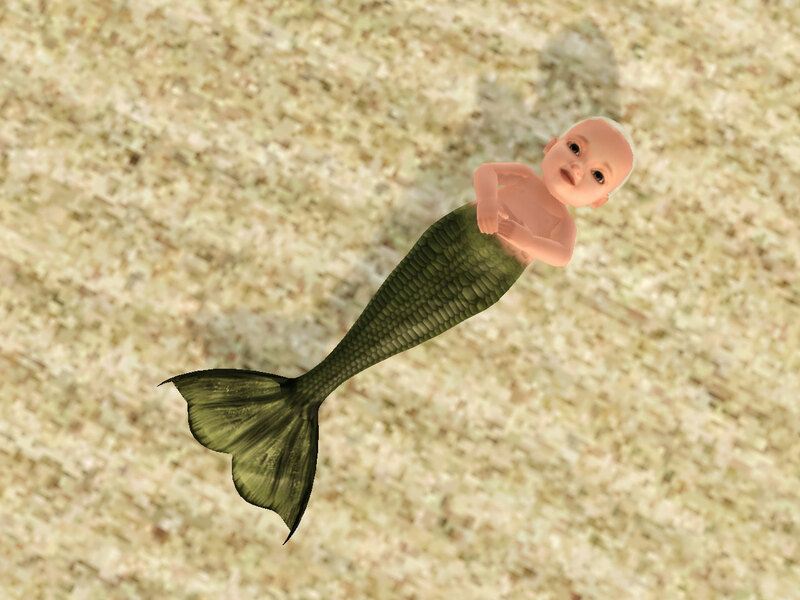 For once it was really helpful that babies don't have feet.